To celebrate National Library Week, FAL delivered lunch to our creative, hardworking and dedicated librarians on April 12. 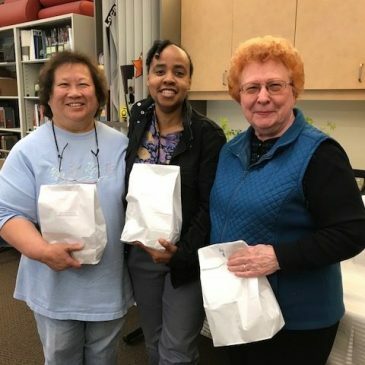 Pictured are library associates Shirley Wong, Paulette Brewer and Ella Norris. Thanks for all you do!